Page colour-discoloured in accordance with book age. ***SIMPLY BRIT*** We have dispatched from our UK warehouse books of good condition to over 1 million satisfied customers worldwide. We are committed to providing you with a reliable and efficient service at all times. Fair. Slight water damage to few pages **SHIPPED FROM UK** We believe you will be completely satisfied with our quick and reliable service. All orders are dispatched as swiftly as possible! Buy with confidence! Very Good. 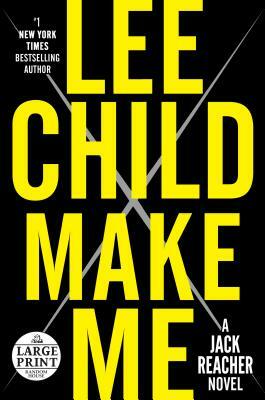 Make Me: A Jack Reacher Novel (Jack Reacher Novels) by Child New York Times Bestselling Author, Lee. Trade paperback (US). Glued binding. 576 p.
Typical Jack Reacher. Always entertaining! I have read all the Lee Child books and highly recommend them.